I’m a big fan of his earlier nonfiction books, so when I learned he had a novel I was really excited. When Sophie and Barry find themselves stranded on a desert island, they must learn to live and work together, and maybe rediscover the joy of living along the way. It’s smart, funny, and has a lot of heart. 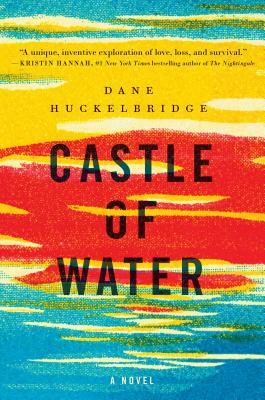 Told in mesmerizing prose, with charm and rhythm entirely its own, Dane Huckelbridge's Castle of Water is more than just a reimagining of the classic castaway story. It is a stirring reflection on love’s restorative potential, as well as a poignant reminder that home—be it a flat in Paris, a New York apartment, or a desolate atoll a world away—is where the heart is. DANE HUCKELBRIDGE was born and raised in the American Midwest. He holds a degree from Princeton University, and his works of fiction and essays have appeared in a variety of journals, including Tin House, Time Magazine, The Wall Street Journal, and The New Republic. Castle of Water is his first novel. Dane currently resides in Paris, France.